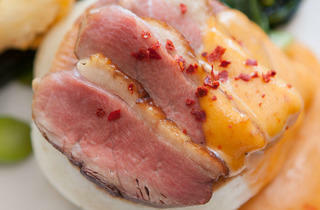 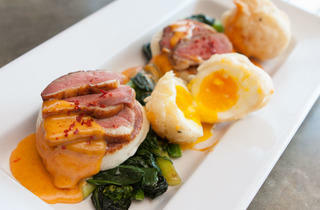 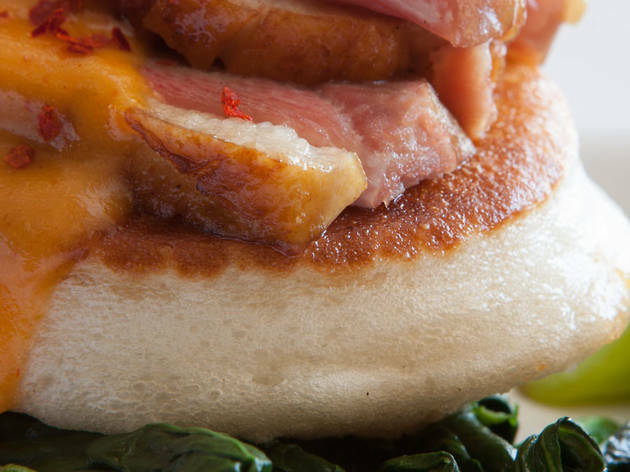 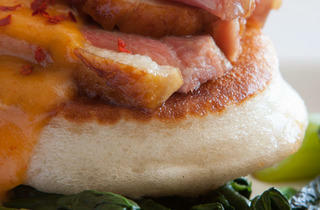 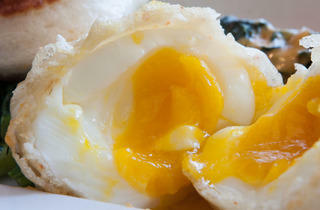 Bill Kim’s take on eggs Benedict replaces every element with an Asian substitute. 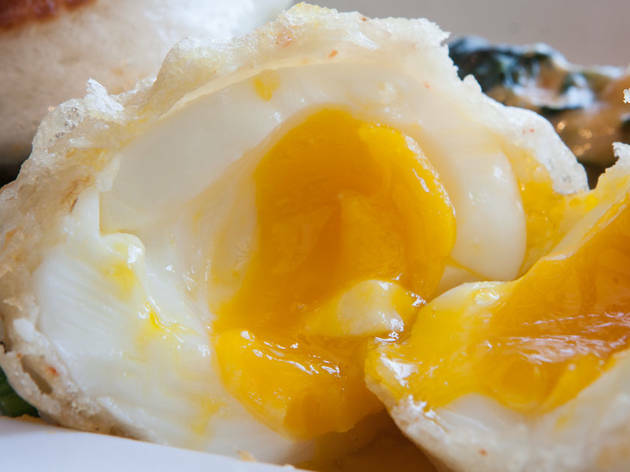 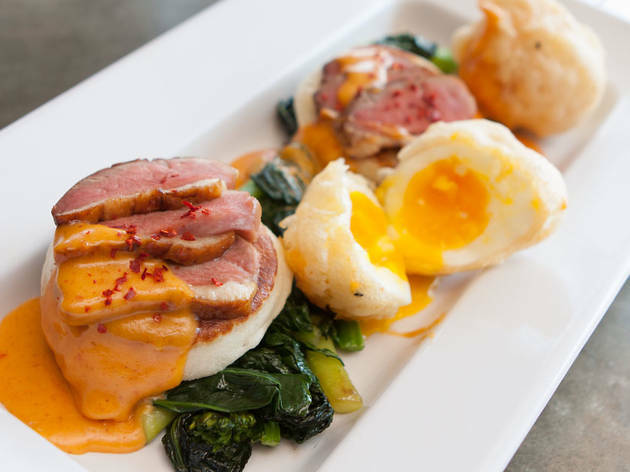 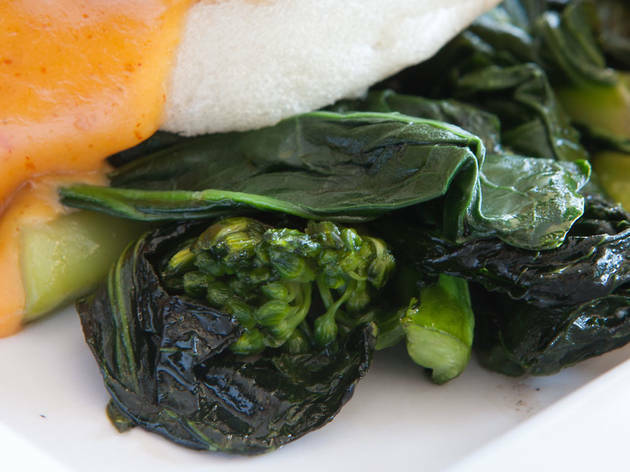 Photograph: Martha WilliamsThe eggsEggs for a Benedict are traditionally poached, but Kim chose another route: These eggs are cooked sous vide for eight minutes, then peeled, coated with tempura batter and fried until, he says, they're "crispy, soft and runny." 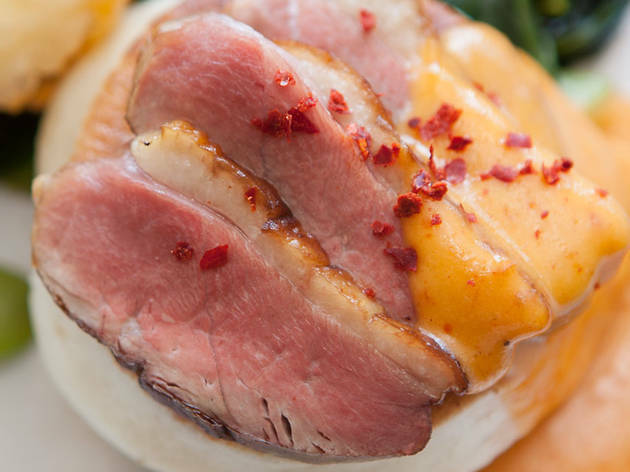 Photograph: Martha WilliamsThe meatDuck breast is cured in smoked salt and Szechuan peppercorns overnight, then smoked for eight hours, giving it all the satisfying notes of a thick slice of bacon. 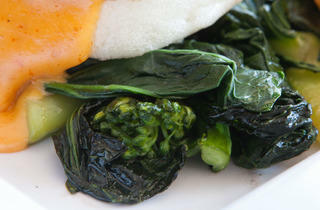 Photograph: Martha WilliamsThe greensNo, it's not spinach&mdash;it's kai lan (Chinese broccoli). 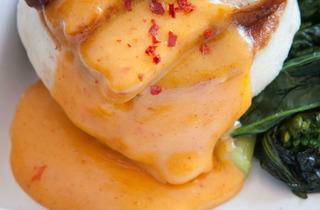 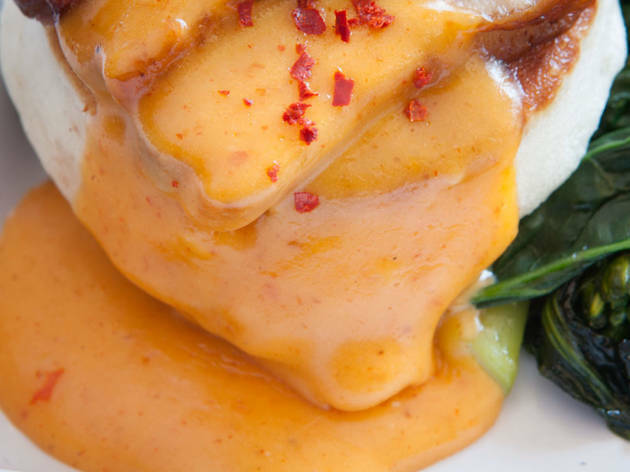 Photograph: Martha WilliamsThe sauceKim punches up traditional hollandaise with multiple layers of Asian flavors: Korean chili paste, fish sauce, kafir lime and red Thai curry sauce.